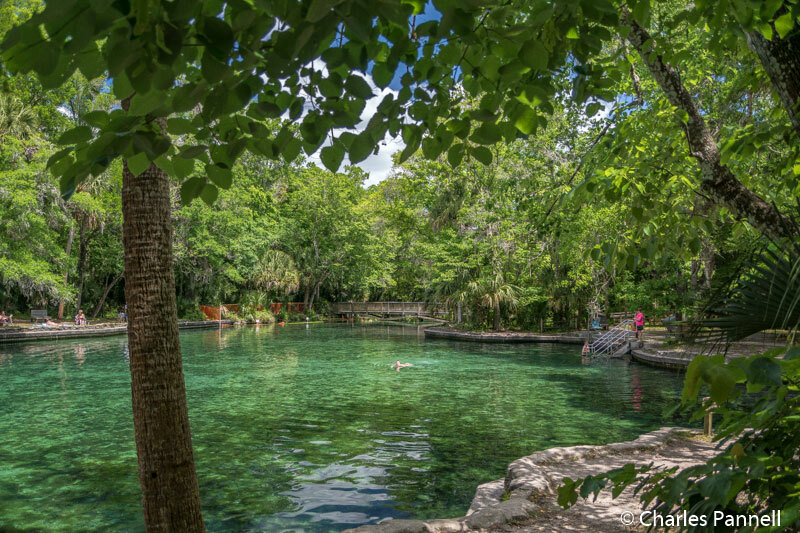 Located in Central Florida, about a half-hour north of Orlando, Wekiwa Springs features crystal clear waters that stay a very comfortable 72 degrees year round. To be honest, that’s enough to draw most folks to this popular getaway; however the first-rate access makes it’s even more attractive to wheelchair-users and slow walkers. 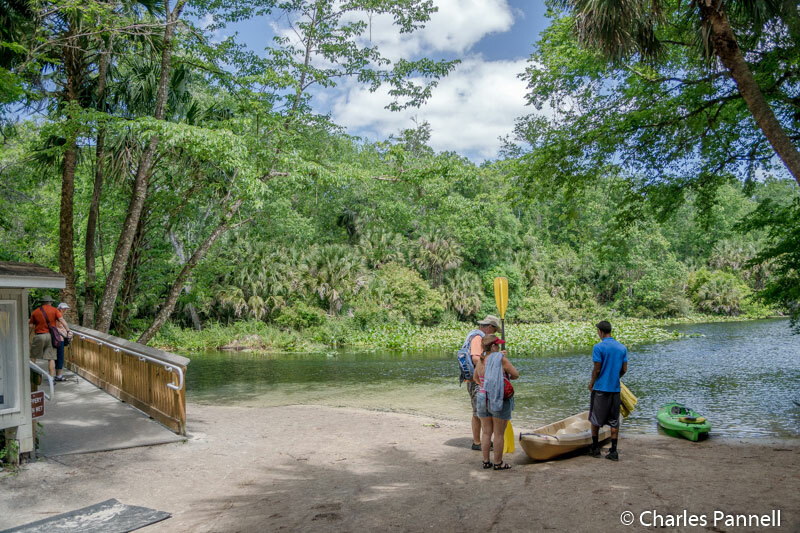 Although there’s a good sampling of native wildlife throughout the park, by far the main attraction is the water itself, which flows out into the Wekiva River at a rate of forty-two million gallons per day. Accessible parking is located near a barrier-free path, which winds past the concession area and over to the springs. 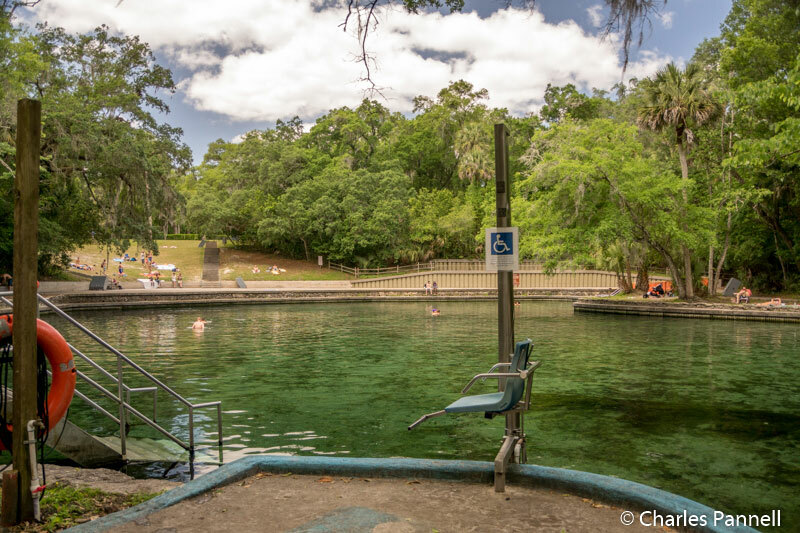 And if you can’t walk into the springs, you can use the fixed wheelchair lift that is located next to the lower boardwalk. If you’d like to rent a kayak instead, then just follow the boardwalk over to Canoe Beach. There are three steps down to the canoe dock; however kayaks are launched directly from the hard-packed dirt beach. Tandem kayaks are available for rent, but because of the launch setup, kayaking is really only a viable option for slow walkers. Still, take the time to walk over to the dock for a nice view of the Wekiva River. Don’t forget to take a stroll along the Wet to Dry Trail before you leave. 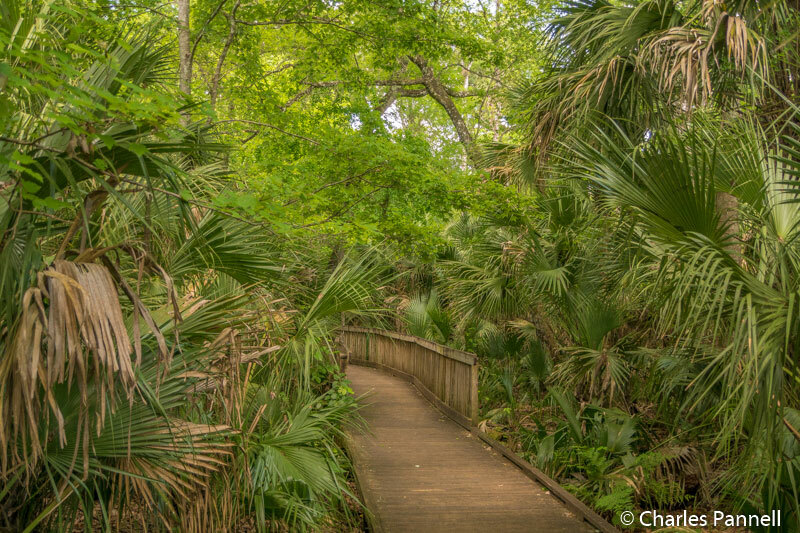 This one-mile trail begins across from the wheelchair lift, and travels through three different natural communities. The trail begins as an accessible boardwalk through the hardwood forest hammock, and features low bumpers instead of a railing, so wheelchair-users have a full view of the surrounding forest. About halfway along the way, the trail transitions to a hard-packed dirt trail, and although it starts out fine, it slowly becomes littered with more and more tree roots, until it’s not at all accessible. So do as much of the trail as you can, and double back. On the plus side, you’ll get an entirely different view on the way back, and it’s a great way to top off a Wekiwa Springs visit. And when you’re ready to leave the park, be on the lookout for the wild turkey flock on your way out. The rangers put out bowls of water for them near the entrance station, so they’re kind of hard to miss, and definitely fun to see and photograph.